Chapter 12 begins with Jesus telling the crowd the parable of the tenants, which is obviously about God sending His Son to the world, only to have the people kill Him. To solidify that, in verse 11 he quotes Psalm 118:22-23 — which is a clearly Messianic passage. Verse 12 demonstrates that the Pharisees were on the verge of having Him arrested already, especially upon realizing that He was talking about them. 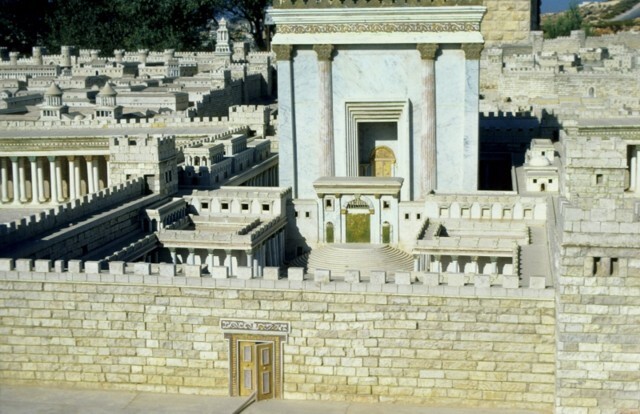 Herod’s Temple, Jerusalem model city. 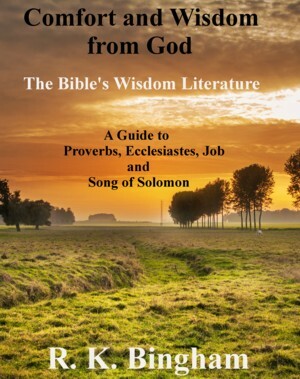 …have you not read in the book of Moses, in the passage about the bush, how God spoke to him, saying, ‘I am the God of Abraham, and the God of Isaac, and the God of Jacob’? He is not God of the dead, but of the living. Verses 41-44 are about the Widow’s offering. It lets us know that even if we are not wealthy, our gifts from the heart are just as valued by the Lord as those from the rich, and often even more so. Do you see these great buildings? There will not be left here one stone upon another that will not be thrown down. Verses 3 -24 are somewhat difficult, and many have interpreted those verses in different ways. Some of it has apocalyptic language such as in the book of Daniel (the “abomination of desolation” and other poetic language). To some, it seems clear that Jesus is a first talking about the destruction to come in A.D. 70 (and that must be the case). But some also believe that he then shifts in verse 24 to speak of the second coming. But then in verse 32 and following, it begins to sound more like He is talking about the second coming. In this case, I think it is logical to consider that He may very well have been referring to both A.D. 70 and the second coming in these verses. Both of them fit very well, and His audience would not likely have understood at that time that the A.D 70 event would take place. The first five words indicate that Jesus was still talking to the same crowd that He had called to Him with His disciples in Mark 8:34-38. But alas, some scholars have still tried to link the meaning of the verse to the Transfiguration that follows in the chapter. Frankly, that explanation of “seeing the kingdom of God come into its power” seems the most ludicrous of all the explanations that scholars have offered. Well, perhaps not. Some have offered that it refers to His second coming. That certainly cannot be the case because He has not yet returned, and none of that crowd still lives today. It is the opinion of this writer that the kingdom of God that He refers to is Jesus’ church. Jesus goes on to cast out a demon that the disciples could not deal with. Jesus makes it pretty plain in verse 19 that it was a matter of faith on their part. A few verses later, they are arguing about which one of them was the greatest. The lesson Jesus tries to teach them is that serving in His kingdom is not about being the greatest. It is about serving. In verses 42-50, Jesus talks about cutting one’s hand or foot off, or plucking out one’s own eye if they cause you to sin. This is not a literal command obviously — any more that He is saying that they are literally salt in verses 49-50. The point is that one must make big changes in their life in order to avoid temptations. Sometimes that mean removing one’s self from the company of those who would tempt them, or avoiding places and things that cause temptation. Chapter 10 begins with the Pharisees trying to trap Him about divorce. His answer is that God takes the marriage vow very seriously, and just as He says in Matthew 5:32, it is His expectation that they stay married, with adultery being an acceptable exception. But clearly, God would prefer that a man and woman stayed married even then. God can forgive any transgression. So can we. The rich young man who Jesus spoke to in verses 17-22 was told that what he lacked in order to please God was to sell all he had and give it to the poor. This makes some wonder whether this is what is expected of everyone. Jesus knew this man’s heart, and that heart belonged to his possessions. Many people are rich and serve God well. But this man could not. There are some who probably would be better off if they did not have so much material wealth. No man can serve God and money. 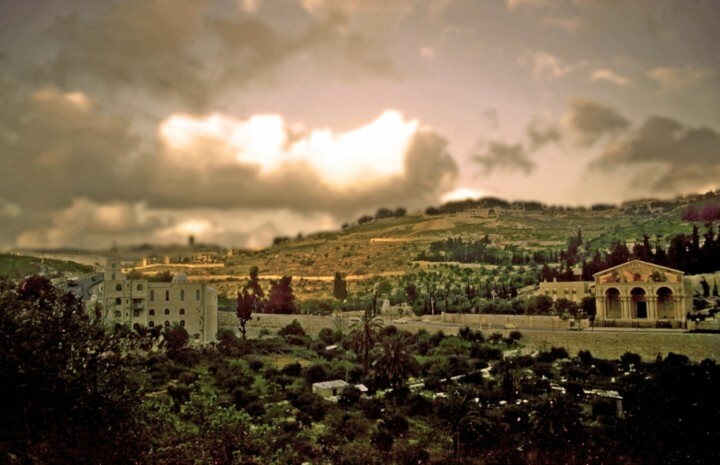 Continuing with our reading of Mark this week, we read in chapter 6 of Jesus being rejected in His home town and how Herod had John the baptist killed. He was afraid of him, but he had made an oath around witnesses to give Herodias’s daughter whatever she wished. To his dismay, she followed her mother’s wishes and asked for John’s head on a platter. Jesus then went on to feed the 5,000. In chapter 7, the Pharisees confront Him because his disciples did not follow the washing rituals they prescribed as though they were God’s laws. Jesus exposed them for their many hypocrisies, such as how they manipulate words and deeds to shirk their duty to take care of their parents. In chapter 8, He feeds the 4,000 with seven loaves of bread and a few small fish– ending up with more food than they started with in the first place. In Dalmanutha, the Pharisees confronted Him again and demanded a sign from heaven. Jesus, of course, gave them none; and he even said that no sign would be given to “this generation.” God’s people were given all the signs they needed. It was after this that Jesus told His disciples to beware of the “leaven” of the Pharisees and of Herod. As they wondered about bread, jesus became impatient with them. They still did not understand, it seems. But in verse 29, Peter did make it clear that he knew that Jesus was the Christ. Those words are easy to read, and they are just as easy for us to nod our heads and say “that’s right.” But we must beware living in an increasingly pagan land, as we do. How easy is it to keep our mouths shut, when perhaps we should be speaking up for the Lord? There was nothing special about Jesus’ clothing. It was the same clothing that anyone there in that place and time could have been wearing. But there were so many people bringing their sick in the hope of being healed. Jesus, though He was the Son of God was here also as a man. There simply was not time to personally interact with each one of these. But knowing what they were coming for, He also knew their hearts. 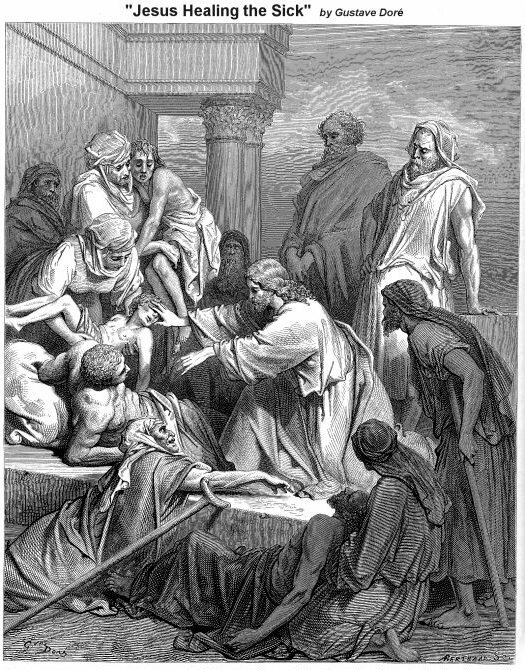 These people believed that His healing power was so great that a mere touch of His garment could heal. The Lord wants to give us what we need. Sometimes that is in conflict with what we think we want. But we “touch His garment” in manner of speaking when we pray because we know that if it is His will, He can make it so. What a blessing it is to have a “High Priest” (Hebrews 4:14-16) that loves us so much! In Mark 3, Jesus heals the man with the withered hand. The pharisees reacted by trying to figure out how to destroy Him. It is the same in this day and age. When people have their hearts and minds set against believing in the Lord, even miracles such as those witnessed by the Pharisees will not convince them. He performed other miracles and cast out demons; and the crowds continued to grow. Bu verse 13 of the third chapter, He is naming His apostles. Notice verses 20-21. It is clear from these verses that many of Jesus’ family were not yet convinced that He was truly the Lord. Verses 28-29 speak of blasphemy against the Holy Spirit. This is not a certain kind of sin that one commits that is just unforgivable. Many people have misinterpreted these verses to make themselves believe that they can have no forgiveness. Verse 28 sates that “ALL sins will be forgiven the children of man, AND whatever blasphemies they utter.” No sin is unforgivable if one repents. Verse 29 is not a contradiction of that. It simply means that one who blasphemes against the Holy Spirit has denied God. It is those whose hearts have turned against the Lord AND who do not repent that will perish. It is, as always, a matter of the heart. Chapter 4 has several of the parables contained in Matthew. When Jesus explained in verses 10-12 about why He was speaking in parables, He quoted Isaiah 6:9-10. What is all means, is that those who hear and want to learn and understand will be able to do so. But those who do not thirst for this knowledge will not comprehend. 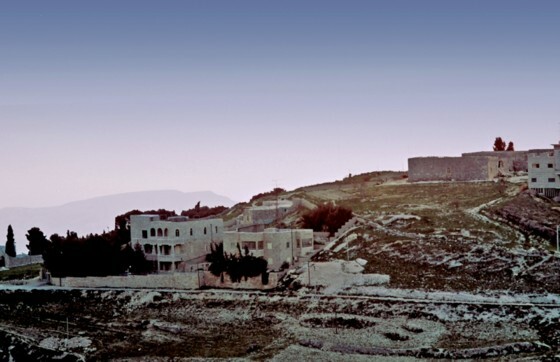 Chapter 5 begins with the man possessed by many demons, who Jesus healed in Gerasenes. When the people heard of what He had done, they became afraid, rather than being in awe of the Lord. When they begged Him to leave their land, He complied. It is the same with us. If we do not want the Lord in our lives, He will give us what we want in that respect. The chapter ends with Jesus raising the daughter of Jairus from the dead. The girl was clearly dead, but Jesus said in verse 39 that she was only sleeping. This should be an encouragement to us. Paul also speaks of the dead in this way in 1 Thessalonians 4:13. It is an assurance to all of us that death is not the finality of our being. 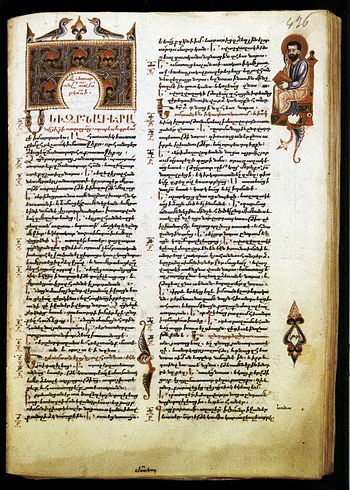 The Gospel of Mark is the shortest of the synoptic gospels, and was likely written to a Roman audience. Therefore, it does not focus on Jesus’ birth; and there is no need for the genealogy that is found in Matthew and in Luke. Lineage was important in Matthew because it was written to the Jews. And it would be important in Luke because a significant number of the gentiles would have been “God-fearers,” and would thus be familiar with the prophecy of the House of David. 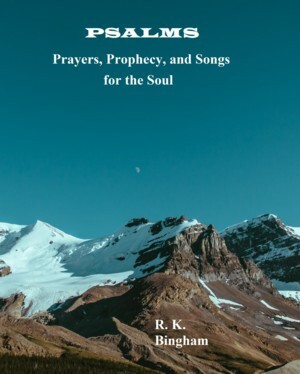 Isaiah is cited as the source because most of the quote does come from the better known prophet (Isaiah 40:3), but part of it also comes from Malachi 3:1. By verse 12 of the first chapter, John has already baptized our Lord, and He is led by the Spirit out into the wilderness to be tempted by the devil. Mark uses the Greek word “euthys,” a total of 41 times in his gospel. It means “immediately,” or “at once.” But it should be remembered that certain words have different connotations in different ages. The Book of Mark is a short and fast-paced gospel, and the word helps to set the tempo of the book. Jesus begins His ministry then, preaching that the kingdom is at hand, and that people should believe the gospel, or “good news.” The quick pace has him picking up his apostles quickly in chapters one and two; and it is often, I believe, wrongly assumed that he just happened upon Peter, Andrew, James and John (and later, Levi, or Matthew), and that they followed Him at a word without having ever laid eyes on Him. It is more likely that they had spoken with each other on several occasions by then, and that they knew each other quite well. Jesus preaches from town to town, healing the sick and lame, and even cleanses a leper. By the end of the first chapter, his fame had spread far and wide. In chapter two, Mark begins to establish Jesus’ power and authority in earnest. The crowd around Him at Capernaum was very large at the chapter’s beginning. Some men were carrying a paralyzed man to be healed, so they lowered him through the roof. Jesus then told the man that his sins were forgiven. This was the most important thing He could do for the man. But when that statement brought murmurings of blasphemy from the scribes who were present, he then told the man to stand up, carry his bed, and go home. When the paralyzed man did exactly that, Jesus established that He had the power to both forgive sins and perform a miracle. Jesus then comes upon Levi and adds him to the number that would be His apostles. The rest of chapter two is then filled with encounters with the Pharisees. First, they complain that Jesus eats with sinners. He counters that with the fact that He came to call sinners. When asked why his disciples did not fast as John’s did, he gives the examples of the new cloth on an old garment, and new wine in old wineskins (as well as the “bridegroom” analogy). The point of these two examples is that He has brought the new gospel, or “good news,” and that the kingdom of God is not just a patch or an extension for the Mosaic law. It is doubtful that the Pharisees he addressed understood what he meant, much less believed it. 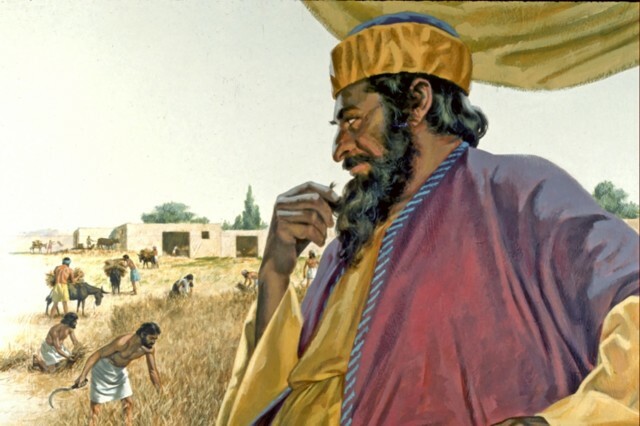 In verses 23-28, the disciples’ act of plucking the heads of grain to eat was not work or unlawful by the Law of Moses. It was counter to the rules that the Pharisees had established themselves. When accused, he gave them the example of David and his men eating the bread of the presence in 1 Samuel 21:1-6. Although this act by David was clearly unlawful, Jesus knew that the Pharisees would not say so. Jesus then refers to Himself as “lord even of the Sabbath.” Here is one of several instances that prove wrong those who claim Jesus never claimed to be anything but a mere man. 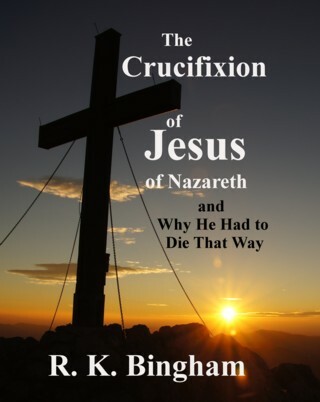 This week, we will read first about the crucifixion. Then we will spend the rest of the week with some details of the time after the Lord’s resurrection from the perspective of the gospels of Matthew, Luke and John. We know from 1 Corinthians 15:5-9 that Jesus appeared to more than five hundred in the forty days before His ascension to heaven. We will focus in the next few days mostly on the time from His appearance to the disciples onward. Today though, let us spend a bit of time on the first hours of the day of His resurrection. 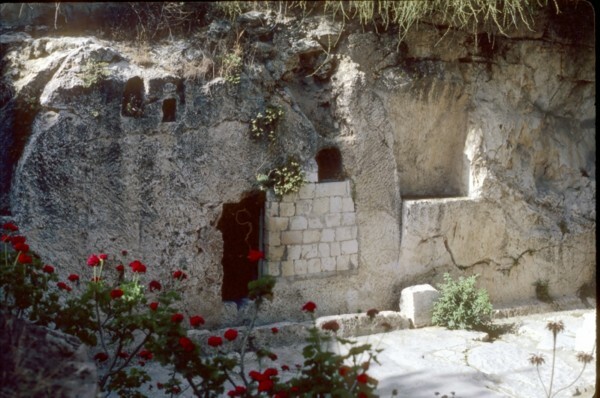 The Garden Tomb in Jerusalem, one traditional site of Jesus’ burial. 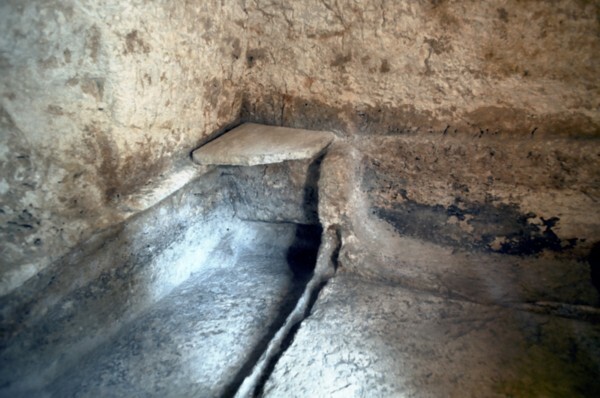 It is safe to say that it is not the tomb of Jesus, but it is useful as a realistic example. The resurrection accounts of the gospels are favorite citations for those unbelievers who feel compelled to invest their time trying to find alleged contradictions. Of course, such allegations are baseless. Putting the four gospel accounts together gives us a more complete picture of the events of that great morning. For a complete comprehensive and easy to read harmonization of the four gospels, I recommend the following book (also available in Kindle format): “The Fourfold Gospel” by John McGarvey (ISBN-10 # 1936341018, ISBN-13 # 978-1936341016). 1. Several women came to the tomb of Jesus before dawn on the first day of the week (Sunday) with spices to anoint His body. From the four gospels, we know that group included at minimum Mary Magdalene, Mary the mother of James (Jesus’ mother), Salome, and Joanna. 2. 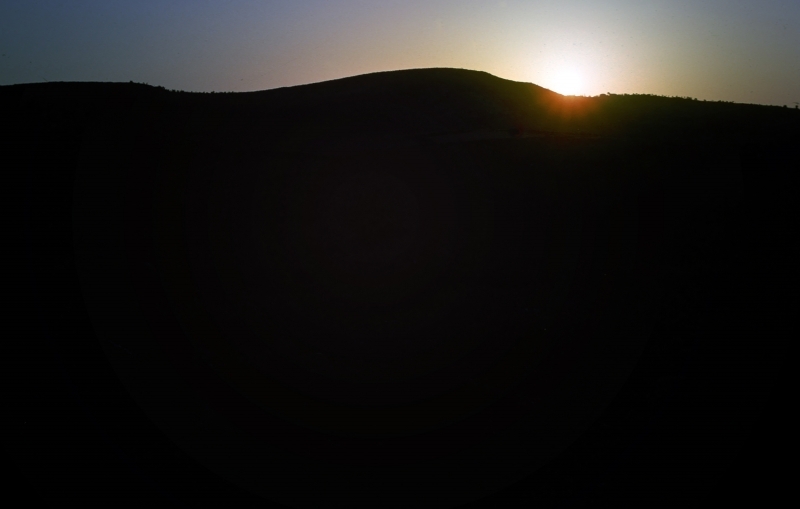 The Sabbath ended at sundown on Saturday. The key sentence in Luke 23:56 is that on the Sabbath, the women “rested according to the commandment.” This means that they would not be preparing the spices and ointments until the Sabbath was over (at sundown). 3. The women set out for the tomb with the spices while it was still dark on the first day of the week. The translation of the grammar used in Mark confuses many, but the key to understanding is that Mark 16:1-2 simply distinguishes the fact that when they went very early on the first day of the week, they did it in the morning – not just after sundown on Saturday! 4. There was a great earthquake, and an angel of the Lord descended from heaven and rolled away the stone and sat on it. The fear that brought to the guards is stated – along with the statement that they became like dead men. Perhaps they were just paralyzed with fear, or perhaps they were made unable to move. We are not told. The point is that the seal was broken, and the stone would not be allowed to be moved back in front of the tomb. 5. At this point, we know from John that it was Mary Magdalene who ran to tell Peter and John that (as she believes) someone has taken the body. John and Mark both indicate that Mary had left the other women. 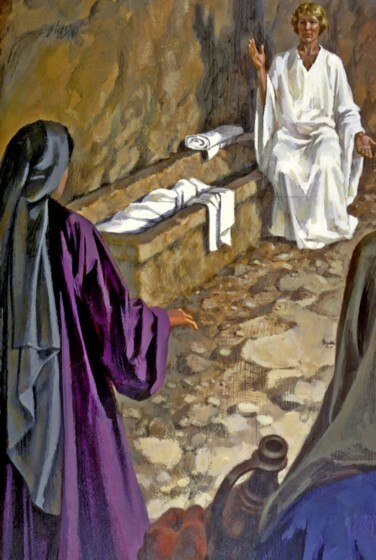 While she is gone, two angels speak to the women she had separated from, telling them that Jesus had risen and they must tell the disciples “and Peter” that He is risen and that they must go to Galilee. Many of the guards leave to go tell the Sanhedrin what has happened, while the other women leave to find the disciples. It is important to get word to all the disciples. But Peter is mentioned separately probably because it is important that in his grief, he does not think he would be cast off because of his denial (in Matthew 26:69-75). 6. Peter and John run to the tomb and eventually both go inside and leave, satisfied that Jesus is gone. John “believes” but Peter is puzzled about what happened. They went back home and the other women would come tell them (as well as the other disciples) what the angels had said to them. 7. Mary, back at the tomb weeping after Peter and John had left, now looks into it for the first time and sees it empty except for the angels – sitting at the head and foot where Jesus had laid. Perhaps from her tears blinding her or perhaps prevented from truly “seeing” (as with the disciples in Luke 24:16), she does not react to the angels or recognize Jesus until He calls her name (John 20:16). Jesus tells her not to delay by clinging to Him, but to go to tell the disciples that He is going to His Father (and their Father). 8. Mary does go and tell the disciples that she has seen the Lord. The other women are met by Jesus on their way (Matthew 28:9); and they are allowed the delay briefly, as they take hold of His feet and worship Him. Then He sends them to continue on to the disciples as well. Each weekend, I am now posting a small PDF of one week of chapter summaries (on the website’s “Summaries” page), current to the beginning of the previous week. I have posted the summary for Week 36 (September Week 1) of the schedule I am following. This short PDF document contains condensed comments about John 12, Matt 24 and 25, John 13, and John 14, with hyperlinks to the ESV version of each chapter for listening or reading, and joins the summaries for other weeks already posted there. As Jesus approached Jerusalem by way of Bethphage and Bethany, He sent two disciples to get a colt for Him to ride on – fulfilling Zechariah 9:9. Jesus tells them where it will be and what to say when someone asks why they are untying it (including that it will be returned immediately). On the way, He is hailed as the Messiah (verses 9-10). “Hosanna” in verses 9 and 10 comes from an expression found in Psalm 118:25 (“Save us, we pray, O Lord”), which when translated into Greek becomes “Hosanna.” In verse 11, He entered the Temple in Jerusalem, just to look around, then they left for the day. When He returned the next day, He would again cleanse the Temple, driving out the money-changers and those who sold animals. Verse 17 quotes both Isaiah 56:7 and Jeremiah 7:11. The following day, He saw a fig tree in leaf, even though it was not the season for figs. But the leaves were an outward sign that promised fruit. Yet there was none. The analogy of this to God’s people is hard to dispute. So Jesus declared that no one would eat fruit from it again; and in verses 20-21, His disciples saw that it withered to its roots. Verses 23-25 do not mean that everything we want will be given to us if we pray with enough faith. We must remember what the scripture says about motives in prayer (James 4:3), and about praying according to God’s will (1 John 5:14). 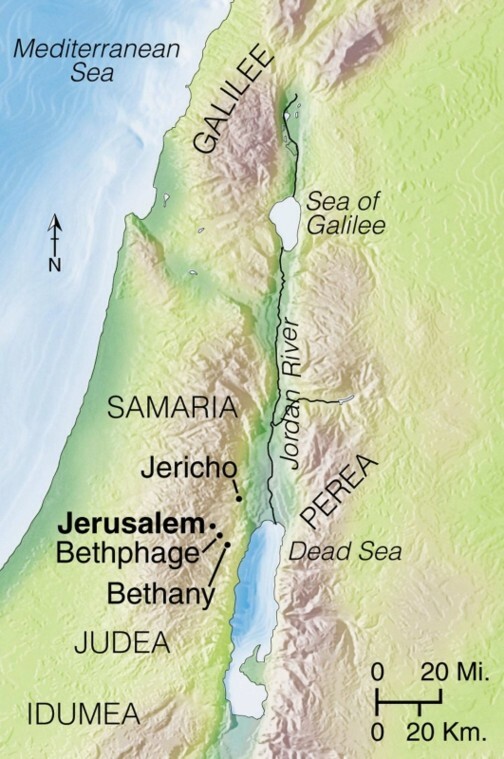 Bethphage area, on the eastern slope of the Mount of Olives, near Bethany. This was on the way from Jerusalem to Jericho. The chief priests, scribes and the elders all come to challenge Jesus, demanding to know what gives him the authority to do the things he is doing. He cleansed the Temple of what was going on right under their noses. But more than that, the question also seems to be of a general nature, in order to strengthen their case against Him. His refusal to answer unless they told Him by what authority John the Baptist had baptized was calculated, as He knew they would not answer (verses 29-33). By saying that the baptism was of man, they would anger the crowds who believed John to be a prophet. But if they said it was of God, they would be admitting that John spoke the truth when he said that he was the one preparing the way for the Messiah (John 1:23 and Mark 1:7-8).